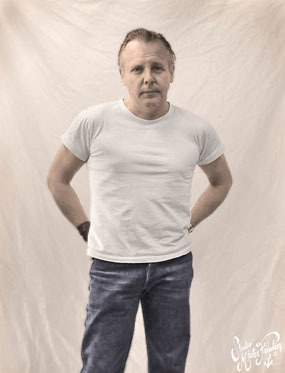 The white tee, part of a balanced diet - Well Dressed Dad - It is a proper menswear blog. Like, with original words and opinions and suchlike. So, Summer is here and you want to get your rebel on. 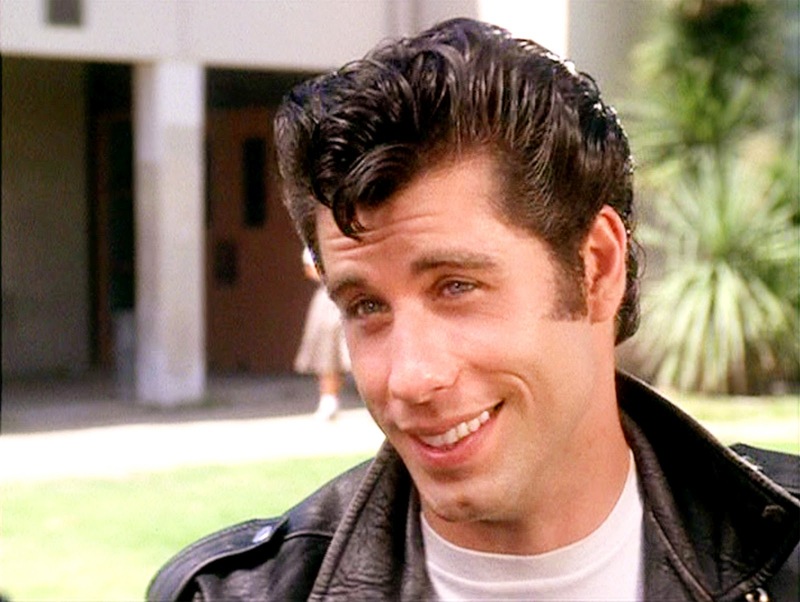 Not the Billy Idol sneer and peroxided mullet, but more of a rebel with no discernible cause. 50’s style James Dean is more the ticket, ladykiller and generally too cool for school. The white t-shirt is like the yin to the denim yang, and you already have the jeans. So you need the tee to complete the look, but this is where it can get a bit tricky. The white t-shirt is a variant that lives on and on, and if we were to use the oft used moniker “iconic”, it surely fits it to a “tee”. 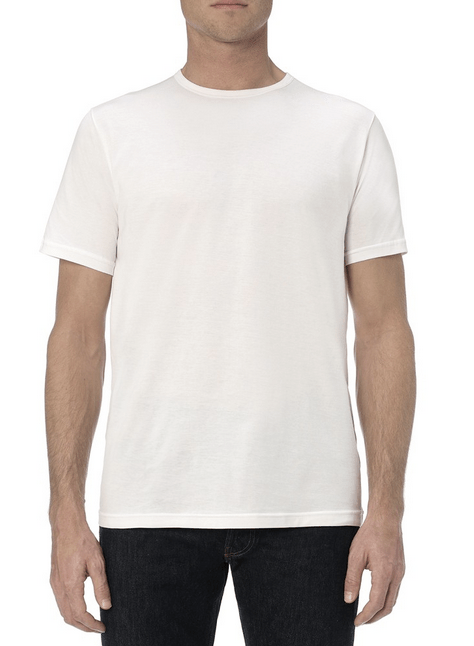 A t-shirt in it’s most basic form, being of no colour and no prints, more like a bare canvas than a painting. Plain white cotton fabric, with an opening for the neck and two short arms. How complicated can it be? From the basis for the fabric itself, which could be anything from pure synthetic, through blends with cotton of various origin through to 100% organic cotton, or even blends featuring bamboo or hemp fibres. If we just regard it as “cotton” in this case there is also the matter of weight. Is the fabric thin, or nice and thick? This will have an impact of how the shirt will hang, plus you really don’t want it to be see-through. And then there’s the matter of how it’s woven. Plain and cut to shape, or loomed in a tube shape to reduce the number of unseemly seams? In a quality that will keep it’s shape, or become sloppy and droopy after a couple of washes? And the shape is tricky. Do you have the sort of buff body that will work with tight shirt, or do you prefer it to drape over your body, like a body-tent? It’s not as if the tent fools anybody, but I can see how wearing a body-hugging cotton sheath may be a bit intimidating. 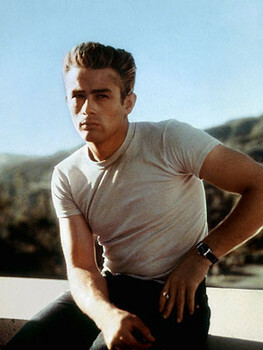 It comes down to personal preference, though James Dean was man enough to wear it tight. So what does a decent t-shirt cost? Well, the true cheapies can be had for as little as a couple of pounds a piece, though you shouldn’t really expect to get anything very good for this little. You can also pay up to 60 pounds or so for a plain white shirt, which may be a little on the heavy side, right? And this is where a bit of psychology comes into it. If a shirt has a print on it or if it’s a different colour than white, you wouldn’t really flinch too much at the asking price being 50 or even 60 pounds. Or even more if it’s from a small Japanese company. Yet if the same shirt is without print, and without being dyed, you feel it’s worth a fraction of the money, even though the process of harvesting the cotton, milling the fabric and sewing the shirt is exactly the same. 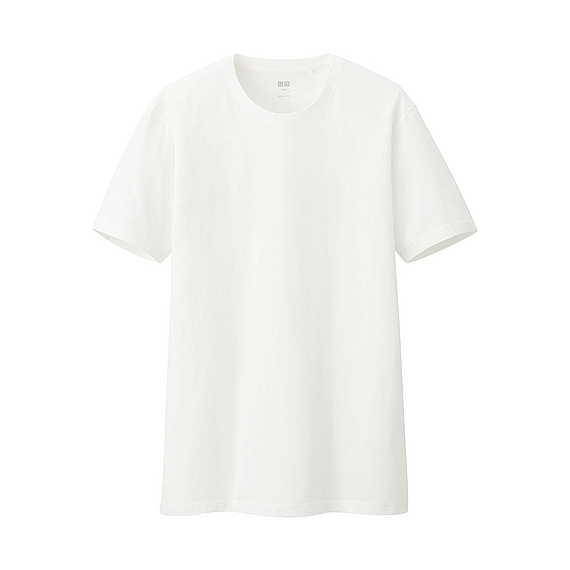 In my experience the cheap tees from H&M and Uniqlo are ok to use as undershirts, though don’t expect them to keep their shape for long. Apparently Fruit of the Loom are better at around the same price. Christope Loiron, Mister Freedom himself. 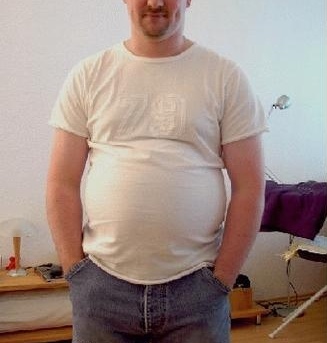 From around 30 pounds up you should be getting shirts of decent weight, from places like The White T-Shirt Company or Trickett. The really high end shirts come from brands like Mister Freedom or Sunspel. And bear in mind, with a truly white white t-shirt, you’re not getting a logo to show what an awesome white shirt you have either, so it’s all down to you being cool enough to carry it off. Please though, don’t go for the v-neck style. V-neck is not cool. One problem you may run into with your tees is that they will loose that crisp whiteness over time, unless you pay attention and wash them only with other whites, and use a washing agent with whitening (i.e. bleaching) properties. Or just bleach them a bit when they’re looking a bit sad. The really big problem with white t-shirts, and really all white shirts, is the “sweat stains” under the arms. Contrary to popular belief, this isn’t actually due to sweat at all, but the aluminium in your anti-perspirant. And once stained, well, it’s there for good. Your only option is to use a deodorant without anti-perspirant properties on days when you’re wearing your really nice white t-shirt. Of course, if you sweat like a hog you may just want to stick to the cheap shirts. The importance of t-shirts being fresh and white was illustrated perfectly in the TV-series “The Wire”, where Bubbles made quite the business of supplying new “whiteys” to the streetwise community. I’ve been through a fair few but my faves are Sunspel and….George @ Asda! Good tips, covering entirely different ends of the price spectrum! Have been profoundly impressed with Iron Heart and Flat Head white Ts. Danny at Rivet loves TFH for its collar detailing ( he is right of course!) and it is more fitted than the IH one. But it is over £20 more. Definitely at the high end of the price range. Part of the problem with white T-shirts is that whenever I put one on, I know that within a short period of wear it will be needing a wash again, so ideally I’ll have a dozen to get through! I’ll have a look at these when I’m in Rivet & Hide on the 23rd though! ive been impressed with Velva Sheen 2 pack for £50 seems pretty cheap to me for the quality. stretch out a bit with wear but go right back to the original fit when washed. Thanks for your input, Iain! I’ve never heard of Velva Sheen, where do you find them? a few places i get mine from kafka, thebureaubelfast sell them, they used to make tee shirts back in the day now they stick to plain tee in a few colours and pocket tees, take a look . A new white t-shirt is guaranteed, for me, to attract some type of food or drink stain immediately. I love the 1940s style t-shirts like Mister Freedom has (although they cost a bit much for my pocketbook), or At The Front (a WWII repro business). Off the shelf brands like Gap or Fruit of the Loom always are too long for me, plus I typically don’t like their collars. Thanks for another insightful and informative post!